Cookies turn into cakes, desserts turn into cookies, cocktails turn into desserts, etc. It’s always a fun challenge. 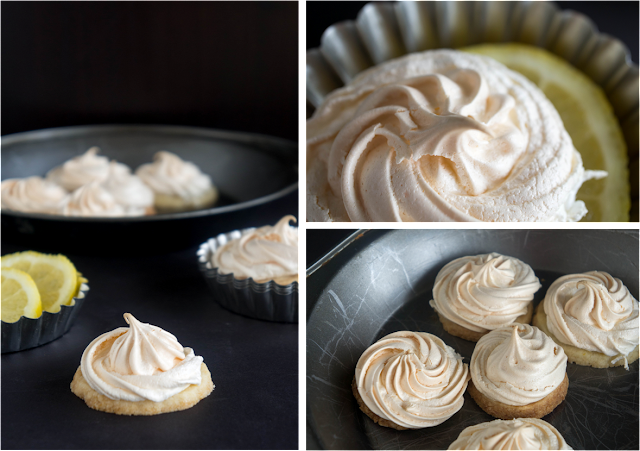 This weekend I decided I would make lemon meringue pie into a cookie. And here it is! 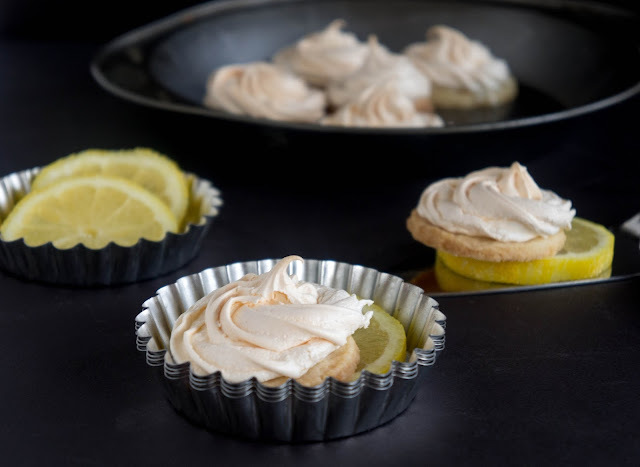 The cookie is actually an adapted tart crust recipe, so it’s almost like a sweet, lemony, pie crust. 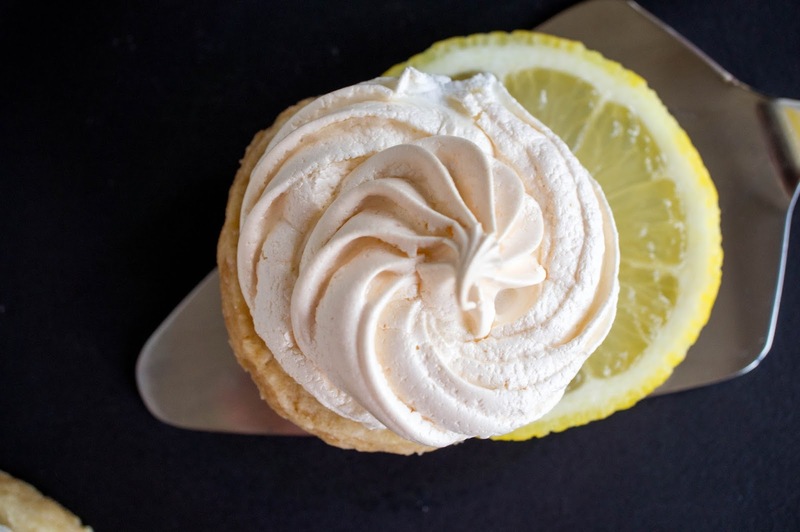 And then it’s topped with a swirl of meringue. I’ve done this before with macarons. Those were great too. 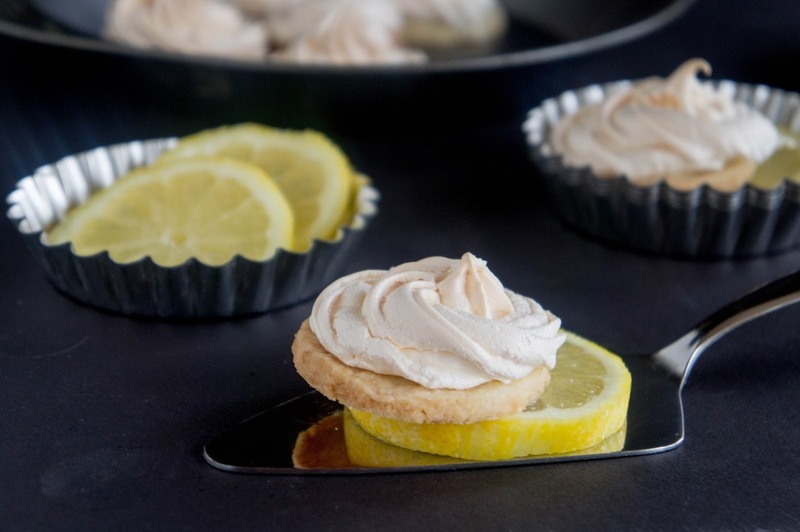 This cookie is buttery with a hint of lemon; the meringue is crunchy on the outside but soft on the inside. The textures play very well together. Plus, they look super fancy. Next time, I might just drop the meringue on with a spoon and form some fluffy peaks like on a real lemon meringue pie. Now if only this worked on other things in life like turning work into sleeping, or bills into money. A girl can dream (of cookies). In a medium bowl, combine sugar, flour, salt, and lemon zest. Add cold butter and incorporate with your hands (as long as they’re not too hot), or a pastry cutter until the mixture resembles coarse crumbs. Add 1 tbsp of fresh lemon juice and knead gently with your fingers until the dough comes together. If it still doesn’t come together after about a minute, add extra lemon juice one teaspoon at a time until it does. Wrap the dough in plastic wrap and chill for at least 30 minutes before rolling. When you’re almost ready to roll (teehee), preheat the oven to 350F. Line a cookie sheet with parchment paper or a non-stick baking mat. On a lightly floured surface, roll dough out to about a 1/4 inch thickness. Cut out circles of about 2 inches in diameter and transfer to your prepared baking sheet. Leave about 2 inches between cookies, they will spread a bit. Bake in the center of the preheated oven for about 15 minutes or until tops are no longer shiny and cookies are just starting to brown. Do not overbake at this point because the cookies will be baked again with the meringue and then you will end up with very brown cookies. While cookies are baking, prepare meringue as directed here. Let the cookies cool about 5 minutes after removing from the oven, then pipe, or spoon the meringue onto the cookies. 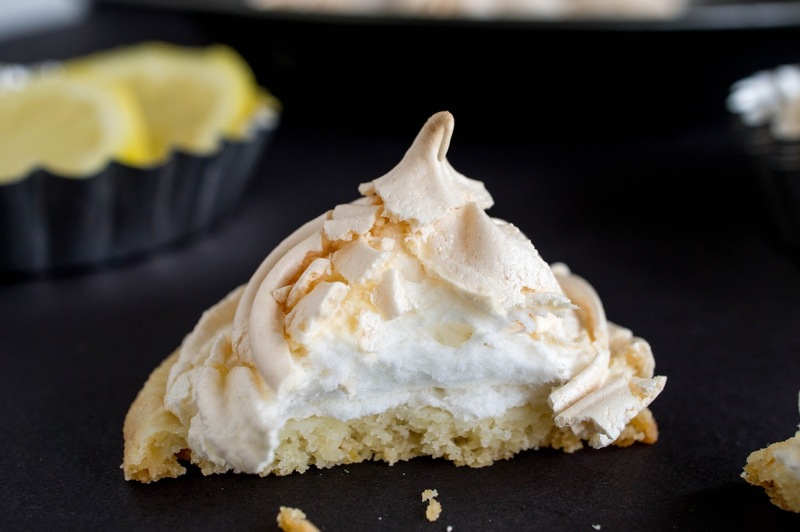 Bake again for about 15 minutes or until top of the meringue is light brown and crispy. Remove cookies from oven and cool completely on a cooling rack. Makes about 24 cookies. Cookies can be stored in an airtight container for about a week.